Radio Programming Equipment - Model-KWD5-RBLS - Only $23.95! Model-KWD5-RBLS: PolarisUSA RIB-less Programming Cable For Kenwood Portable Radio Models TK-240,TK-250,TK-260,TK-260G, TK-270, TK-270G, etc. See website for complete list. PolarisUSA is proud to offer Kenwood Radio Programming Cables. This RIB-less cable Programs the Kenwood Portable Radio Models TK-240,TK-250,TK-260,TK-260G, TK-270, TK-270G, TK-272G, TK-278, TK-278G, TK-340, TK-350, TK-353, TK-360, TK-360G, TK-370, TK-370G, TK-378, TK-378G, TK-430, TK-431, TK-2118, TK-3118, TK-2100, TK-3100, TK-3101, TK-2102, TK-2107, TK-3102 and TK-3107. 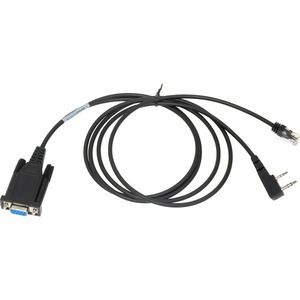 This RIB-less Cable also Programs Kenwood Mobile Radio Models TK-7102, TK-7108, TK-8102, TK-8108, TK-760, TK-760GK, TK-762, TK-762G (VHF 8Ch), TK-768, TK-768G (VHF 128Ch), TK-780, TK-840, TK-840UF, TK-860, TK-860G (UHF 128Ch), TK-860H, TK-862, TK-862G (UHF 8Ch), TK-868, TK-868G (UHF 8Ch), TK-868G (UHF 128Ch), TK-880 and TK7180. Radio Models Supported: Kenwood Portable Radio Models TK-240,TK-250,TK-260,TK-260G, TK-270, TK-270G, etc.